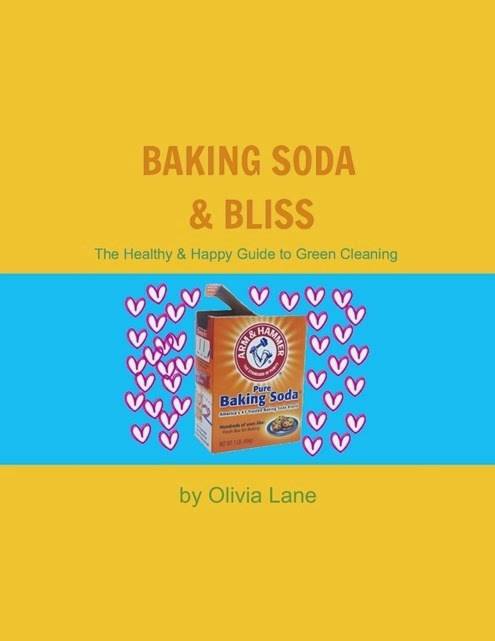 Olivia Cleans Green: My Green Cleaning eBook is Here! I recommitted to finishing the book. I established a new realistic deadline and scheduled work sessions. I reached out for support from people in my coaching circle at IIN. I chanted. I tapped. And I sat down and wrote, which is absolutely not my favorite. It may surprise you but I actually don't like writing much, despite having a BA in Writing and blogging for most of my adult life. What I do like, what I love really, is connecting with people and sharing my experiences, ideas, and knowledge. I write because it's a tool for achieving that. When I write I see faces at the end of a sentence like friends waving to me as my train pulls into the station. I imagine the good times that will result because I sat down and just did it. So yeah, there's a book. I wrote it because I wanted another way to connect with you. I wrote it because I wanted you to have an awesome resource about green cleaning that you can read in iBooks (or your fav PDF reader) when you've got a cleaning conundrum, are in a DIY mood and ready to mix up some cleaners, or just feeling curious about creepy chemicals in conventional cleaners. Click here to learn about my book & get your copy. Have you experienced a challenge completing a project? What motivates (or motivated you) to accomplish your goal? Where do you find support? Consider supporting this blog by shopping via my Amazon shop or buying my book. Thanks. just got my copy Olivia! so excited for you. you really are an inspiration. you are helping me change my lifestyle, and I am sure many others as well. the world needs more positive souls such as yourself. off to read my new e-book!!! <3 <3 <3 thank you so much Mary! <3 What you said makes my heart glow! Let me know what you think of the book. Hugs!